With a background in gymnastics, the 5’3” Leblanc-Bazinet might have been expected to be the first to knock out all the muscle-ups, but for her to string together nine in a row with a powerful kip was another thing entirely. She paired her ring work with squat snatches that were just 30 lb. 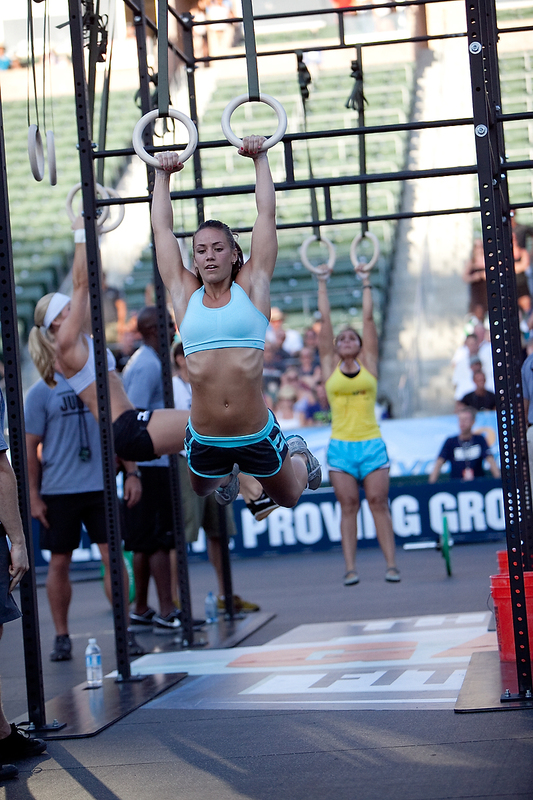 shy of her body weight on her way to the second-best time of the event. Bazinet’s performance throughout the three-day, nine-event test of the world’s fittest played out much like that first event. Her gymnastics ability and overall consistency paid dividends by Games’ end, sending her back to Richelieu, Quebec, with a ninth-place finish. Pre-Games, Pat Sherwood pulled the then-unknown Leblanc-Bazinet aside for an interview. “Watch out for Canada,” she said in jest. 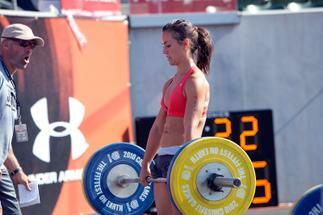 Watch the interview in it's entirety in the CrossFit Journal. 28 July 2010 / 10:04 p.m.